Join our Tudor Tour and visit the favourite palace of Henry VIII and the childhood home of some would say the true love of his life Anne Boleyn. Book your Tudor tour now. 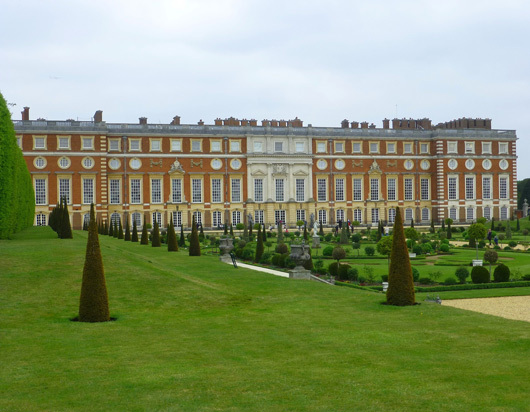 At Hampton Court you will be able to immerse yourself in the sights and sounds of the bustling Base Court and marvel at the breath-taking grandeur of Henry’s State Rooms. 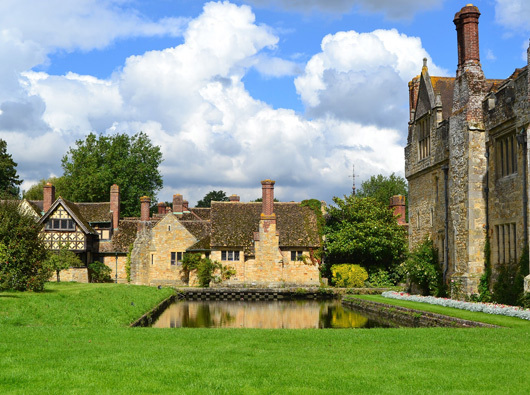 Tickle your taste buds in the vast Tudor kitchens, stroll through over 60 acres of enchanting gardens, lose yourself in the famous maze and appreciate the beauty of one of the greatest palaces on earth. And if that is not enough, creep along the Haunted Gallery (said to house the ghost of Anne Boleyn where she made her last desperate plea to Henry VIII not to chop her head off) and discover the Baroque Palace, full of intrigue and gossip from the Stuart and Georgian era. Audio Guides are included in both and costumed talks happen daily as well as a full programme of seasonal events. Hever Castle was the seat of the Boleyn family and where Anne Boleyn, the ill-fated second wife of Henry VIII spent much of her youth. Anne Boleyn’s prayer books are still displayed as are the special locks which Henry had made to lock and unlock the doors when he came courting. Built in the 13th century, the remains of the original country house timbers can still be seen within the stone walls, pre-dating Henry and Anne’s courtship. As well as absolutely stunning gardens it also has the oldest working original portcullis in England. While away your time in the majical and beautifully restored Italian and topiary gardens, mazes and lake where Anne would have once played as a child and dreamed of courtly life.If you listen to the wind often the girlish chortle of misspent youth can be heard to flourish on the wind……an evocation of a time gone by or simply an overactive imagination.